The Zoryan Institute invites you to seminar-lecture and open discussion with Dr. Stefan Ihrig, from the Department of General History and HCGES, University of Haifa. He will be discussing his latest book “Justifying Genocide – Germany and the Armenians from Bismarck to Hitler”. 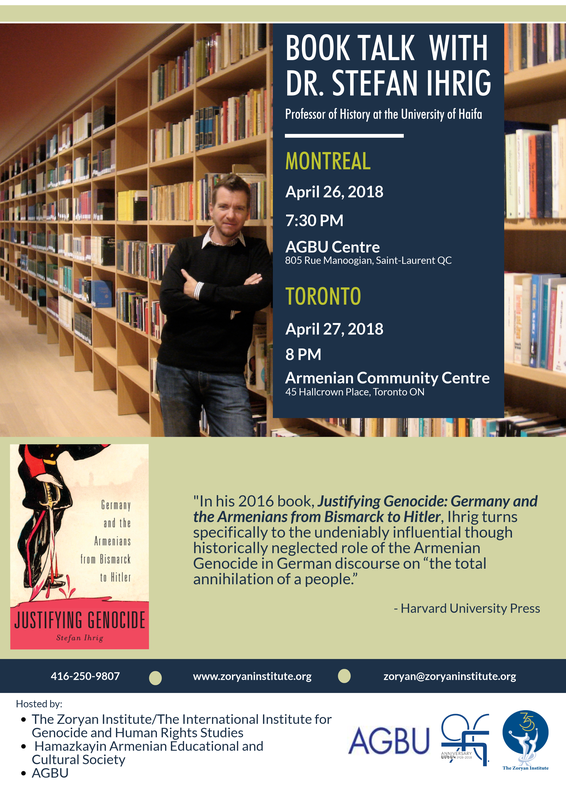 This event is organized by Zoryan Institute with the participation of the Toronto and Montreal branches of AGBU and Hamazkayin, on April 26th (Montreal) and 27th (Toronto).